I’m no psychic, but I predict that snail slime skincare is really going to take off in the US pretty soon. It’s already been big in Korea for a few years, and just last month, Glossybox subscribers received a Missha Super Aqua Cell Renew Snail Hydro Gel Sheet Mask with their subscription. The sheet mask was met with rave reviews, so it’s safe to say that interest in snail slime skincare has been piqued. I’ve been trying it out myself for the past few months. 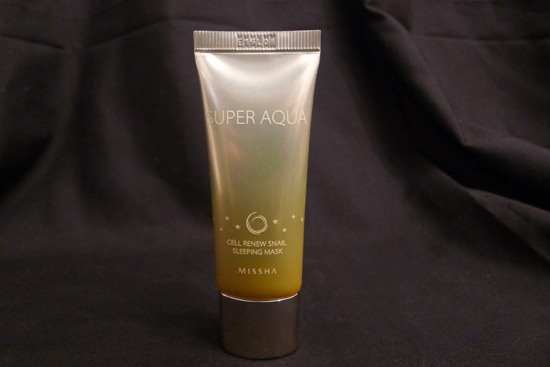 I’ve actually been using the entire Missha Super Aqua Cell Renew Snail Skincare line, which includes a treatment toner, a lotion, a face cream, and a sleeping mask. Instead of cramming all four product reviews into one post, I’ve decided to break it up into two parts. 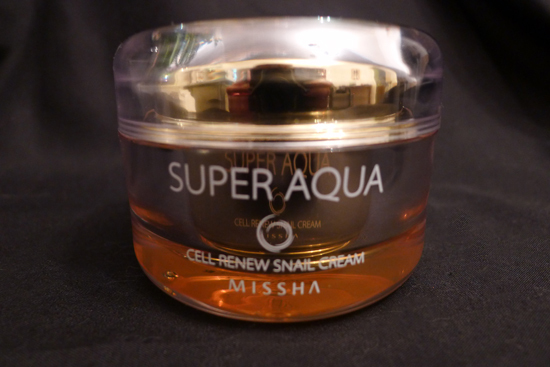 Today I’ll be looking at the Super Aqua Cell Renew Snail Cream and Sleeping Mask, which I purchased as a set from Missha’s website for $50. 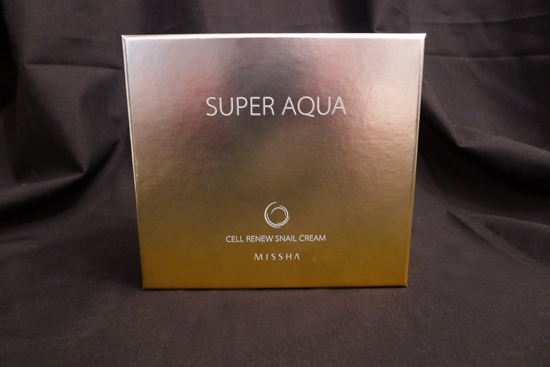 The Super Aqua Cell Renew Snail Cream is a gel cream moisturizer for the face. I was unable to find a complete ingredients list online, but the ingredients are listed in English on the box. I’m typing in the ingredients list here (fellow beauty bloggers, feel free to copy and paste this list! Please consider giving me a credit if you do.). I’m also adding this list to the COSDNA database, so to future looker-uppers of this product on COSDNA – you’re welcome! Snail Slime Extract – Contains proteins, glycolic acids, and elastin to help prevent scarring and promote skin healing. This cream is 70% snail slime extract. Botanical Stem Cell Extract – Botanical Stem Cells are a popular skincare hype ingredient right now. Unfortunately, hype is all it is. Plant stem cells can’t even help other plants; they can only help the plant they’re derived from. They definitely can’t influence human cell growth. They are not harmful, but they aren’t helpful either. I would personally add Portulaca Oleracea Extract (AKA Common Purslane Extract) to the star list, which contains essential fatty acid Omega 3, as well as Vitamins A, B, and C. It also contains antioxidants, including alpha lipoic acid. It’s been used as a healing ingredient in Tradition Chinese Medicine for centuries. I would also add Arbutin to the list, which is a plant-derived skin lightener that helps reduce hyperpigmentation. When I run the ingredients list through COSDNA, I do see a couple of potential irritants. One is the denatured alcohol, which acts as a solvent. It has an irritant potential of 3 (out of 5). The big one is triethanol amine, a pH adjuster with an irritant potential rating of 4 (out of 5), and an acne potential rating of 2. Missha says this cream will help with irritation, scars, skin texture, and dark marks/hyperpigmentation. Despite its 70% snail mucin content, there is nothing slimy or snaily about this moisturizer. 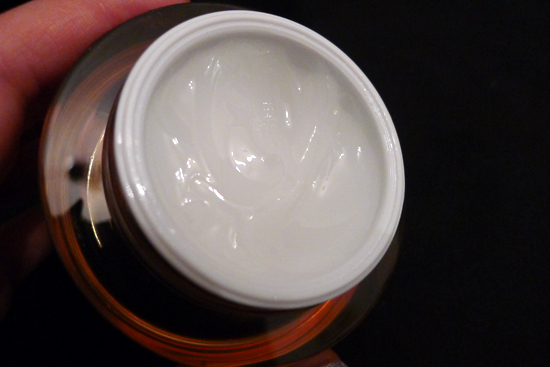 In fact, this cream has a really lovely gel-like texture. Because of the gel consistency, I was worried that it wouldn’t be moisturizing enough for my insanely dry skin. When comparing this to my beloved Cerave, I found that the snail cream was slightly less moisturizing. It still adequately hydrates my skin though, and I do enjoy the texture of this cream a lot. I think ladies with oily skin would fall in love with how non-greasy it is. The cream has a really nice gel-like texture that absorbs quickly and isn’t greasy. The fragrance is very strong, but I really loved the smell. It has a fresh, floral scent, though I’ve heard some people describe the scent as “cucumbery.” I smell a lot of jasmine in it, and I actually wouldn’t mind a perfume that smelled like this moisturizer. That said, I have a friend who is extremely sensitive to fragrances right now who couldn’t stomach the smell at all. The smell does fade quickly after application, but it’s so overwhelming at first, that anyone who is sensitive to fragrance should probably steer clear. Fragrance can also be an irritant for some people, so those folks would probably want to avoid this product as well. 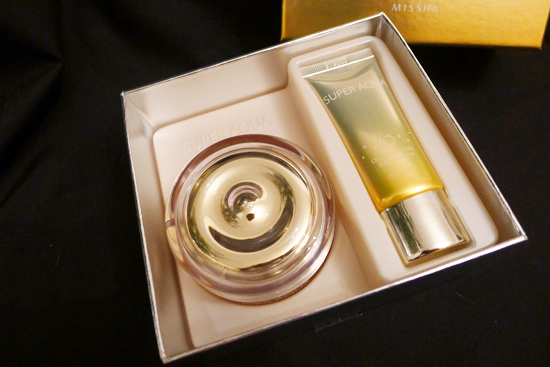 As previously mentioned, I used this cream as part of the full Missha snail skincare lineup. 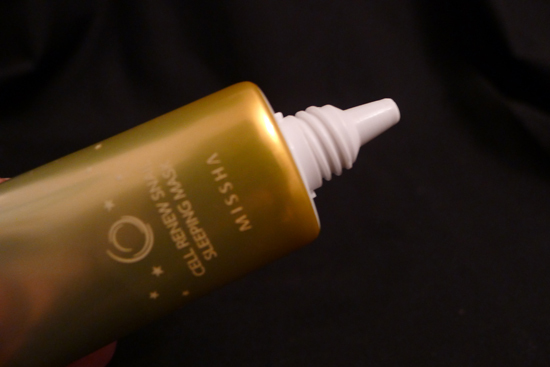 This cream is meant to be applied last in your skincare routine, and for most people, nighttime-only use is advisable. It contains a lot of dimethicone, which acts as an occlusive barrier and prevents moisture loss. When using it with the whole snail lineup, it does a great job sealing in all the moisture from the products that went on before this cream. If you’re a retinoid user, you’ll want to wait until after you’ve applied your retinoid to use this. Otherwise, the snail scream will ball up when you’re trying to apply your retinoid, and the retinoid will not be properly absorbed into your skin. After using this for over 2 months, I did notice a difference in the visibility of my acne scars. I also noticed that any pimples I did get on occasion left behind much less noticeable marks than they normally would. It could have been the snail mucin, but I think it’s more likely that the Arbutin this cream contains is responsible for my scar lightening. 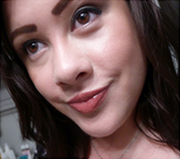 Overall, I really do like the Super Aqua Cell Renew Moisturizing Cream. When I used it as part of my lineup, I saw some nice results in terms of skin tone improvement, and it was a lovely moisturizer that was not at all greasy. Although I’ve been using it concurrently with the Cell Renew Snail Treatment and Cell Renew Snail Moisturizer, I am finding that I go though this Snail Cream much more rapidly. I am running low on my first jar right now, and have already purchased a second jar so that I can keep using it along with my other snail products, which are still more than 60% full. Performance 4/5 – Wonderful, non-greasy texture, successfully reduced appearance of hyper-pigmentation, a little less moisturizing than Cerave. Value 3/5 – It’s the most expensive product in the Missha snail lineup at $50 for a set that includes a deluxe travel sized Snail Sleeping Mask. It also runs out faster than the other snail products – this jar lasts about 3-4 months depending on usage, whereas the other products in the lineup seem to contain enough product to last at least 6 months. Sleeping masks, sometimes called sleeping pack, is a popular skincare item in Asia. They are usually thick creams made to be applied just before bedtime, and rinsed off in the morning. This Cell Renew Snail Sleeping Mask contains 15% snail mucin in addition to other ingredients. I couldn’t find a complete ingredients listing for this product online, so I’m typing it out from the box here, and adding it to COSDNA for future looker-uppers. I would include the Japanese Cypress Water in that list, which is a skin conditioner that also has antifungal properties. Running the ingredients through COSDNA reveals only one potential irritant, which is Cetearyl Alcohol. Cetearyl Alcohol has an irritant potential of 3 out of 5 and an acne potential of 4 out of 5. Cetearyl Alcohol is a mix of Cetyl Alcohol and Stearyl Alcohol, both of which are known irritants. However, they are still very common ingredients in skincare products. They are white, waxy solids that help create that firm, creamy texture so many skin creams possess. Missha says this product will help with skin hydration as well as dark marks and hyperpigmentation. I love, love, love this sleeping mask. This product was my first experience trying a sleeping mask in general, and it has me excited to try others. I’m a side sleeper, so I was a little worried at first that it would come off on my pillowcase, but that was not an issue. The cream absorbed enough between the time I put it on and the time I put my head down on the pillow that not much of it rubbed off while I was sleeping. The sleeping mask, like the snail cream, is heavily fragranced. Again, it’s a smell I enjoy and it dissipates after it’s been applied, but those who are sensitive to fragrance will want to steer clear. The applicator for the sleeping mask keeps everything nice and tidy. When I use the Cell Renew Snail Sleeping Mask, my skin is amazingly soft in the morning. It may have helped contribute to the lightening effect I saw with my acne marks, but I think most of that lightening credit goes to the other products in this line. However, the skin moisturizing and softening effect was pretty stellar. I got hooked on this mask quickly, and I now use it at least 3 nights a week. The travel sized tube included in the Snail Cream set was used up within 6 weeks, so I purchased a full size tube of the Super Aqua Cell Renew Sleeping Mask for $23. Of all the products in the Cell Renew Snail Skincare line, this is the one I know I’ll continue to purchase long after I’ve moved on to testing other products. Value: 5/5 – $23 for a large full size tube of this stuff is a super deal. Plus, it’s frequently on sale. You can find the Super Aqua Cell Renew Snail Cream Set ($50) and the full size tube of Super Aqua Cell Renew Sleeping Mask ($23) on Missha’s US Website. Missha frequently has sales, which would be a great time to pick this up. This week, they’re doing a special where any purchase from the Super Aqua Snail line will include some free Snail Gel Sheet Masks like the ones that were included in last month’s Glossybox. There is an Amazon seller who carries the Snail Cream on its own for $34 plus $5 shipping. That saves you a little bit of money, but for $10 more you can get the set that includes the sleeping mask from Missha. Great job on these reviews!!! Also, you should get a pat on the back for updating the cosdna database, I am now using that a lot and having more entries is awesome. Of these two, the sleeping pack seems more interesting. I have found my scars have been fading and my skin is brighter because of arbutin-containing BB cream alone, I can say it’s an effective ingredient (sadly some of my concealers no longer match my skin now, though, lol). I love the star ingredients but ALSO very glad these contain dimethecone (the cream) and glycerin. Both of these are so good for the skin, and silicones are great for improving scarring. I look forward to your review of the rest of the line! Thank you! I’m so glad you’re finding my reviews helpful. I’m trying to include all the information I wish I could have found when I was deciding whether or not to purchase these products. Aside from your blog, and maybe one or two others, I’ve had a really difficult time finding blogs (in English) that provided detailed, science-based reviews of Asian skin care products. I find it strange, considering that Asian skin care is such a large market with so many exciting products. I am also a huge fan of glycerin! It’s quickly becoming one of my favorite ingredients, and one of the things I like so much about the Asian skin care products I’ve tried is that glycerin is so commonly used. As for dimethicone – I’m beginning to think you might have been right a few weeks ago when you suggested that my sensitivity to dimethicone was actually a sensitivity to something else. I’ve been using all kinds of dimethicone products recently, including this snail cream, and haven’t experienced any irritation. Now I just have to figure out what the mystery ingredient is in silicone primers that causes the bumps I get when I use it! Thanks a lot for this. I’m debating whether to get the sleeping mask -it would be my first too- or not. And I’ve really found your review very helpful. I like the fact that you include ingredients and Cosdna analysis. It’s way more useful than “X is good for your skin”. Do you use the sleeping masks after applying the cream? do you use the sleeping pack after the cream? Great Job on reviews. Very helpful. But still I do not know whether to buy or not. I wanna try it. But still confused. Coz by skin is very sensitive and gets wrose in summer. I am allergic to all products and cosmetics. Hi Seema! If your skin is highly reactive, you may have an issue with the fragrance in this cream.